GOSSIP GIRL & 90210 IS BACK!!! I’m so EXCITED that Gossip Girl and 90210 (they returned two weeks ago) are back on the CW TV. I have been dying for new episodes filled with drama and fashion! Too bad I’m in class when they air, but thank goodness for my DVR. Are you guys as excited as I am? Which show do you enjoy the more, Gossip Girl or 90210? Let me know in the comments section. Everybody that knows me, knows that I am a Monica STAN! I ahem loved her since I was 10 years old, and “Just One of Dem Days (Don’t Take it Personal)” was being played on the radio. 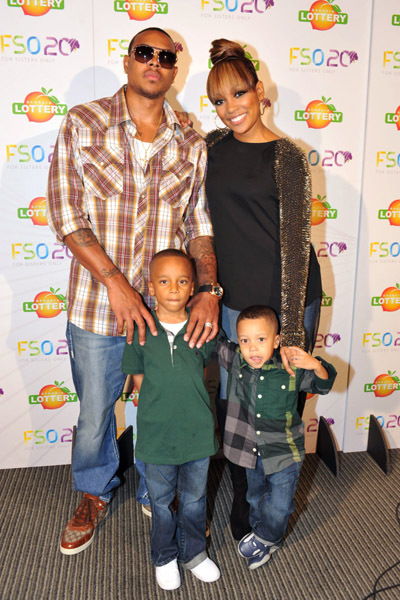 Monica was out and about, with her hubby, Shannon Brown and her boys, Lil Rocko and Romelo. I have to say that this a good looking family. Do you have a favorite Monica Tune? Mine happens to be, “Before You Walk Out My Life”. Do you think that Monica and Shannon make a good couple? Let me know! Lady Gaga was seen wearing a fitted hat, and looking somewhat normal. 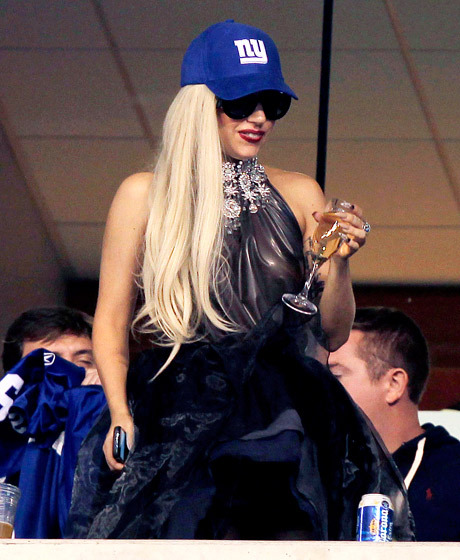 How does Lady Gaga look in her fitted? Girls, would you rock a fitted hat? Let me know in the comments section. Beyoncé is not letting her pregnancy slow her down (she’s having a baby girl, by the way :D). Last week, the singer promoted her new fragrance, Pulse at Macy’s Herald Square and other media outlets. She was looking fierce in her pretty dresses and high heels. She probably will not stop wearing heels until the doctors orders her to wear flats LoL. What do you think of Beyoncé’s maternity style? I think that she’s one of the best pregnant celebs so far. Leave a comment and let me know! After making her rounds during NYFW, Beyoncé and her baby bump walked the runway earlier today in London, for London Fashion Week. House of Dereon, the clothing line Beyoncé started with her mother, Tina Knowles, back in 2004, made it’s UK debut at Selfridges. Beyoncé is just glowing these days and she looks so happy. I have to say that she’s one of the most stylish moms-to-be. I’m happy for her!